At about 11:30 a.m., after the Divine Liturgy this Sunday, July 30, we will celebrate our Feast Day at the church! Roasted pork and other delicious food will be served. There will be Greek music and dancing. Cost will be $20 per person. Please come! 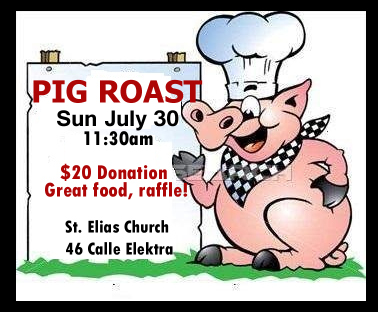 We need St. Elias parishioners to bring side dishes and desserts. Sign up with April Dellas (ridingsecret@aol.com (505) 466-1340, (575) 684-0125). 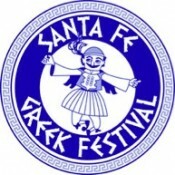 The drawings for the big Greek Festival raffle prizes will be held during the festivities. You do not need to be present to win, but you’ll miss a great time if you’re not there.